Gabriella Soraci participated in The Four Seasons show in Spring/Summer 2017 at Village West. Gabriella Soraci is a painter living in Oregon's Willamette Valley. She holds a BFA degree from the University of Oregon (2002) and an MFA from the University of California Davis (2007). At Davis she was a teaching assistant to the American painter Wayne Thiebaud and received the Fay Nelson Award from the combined visual arts faculty. 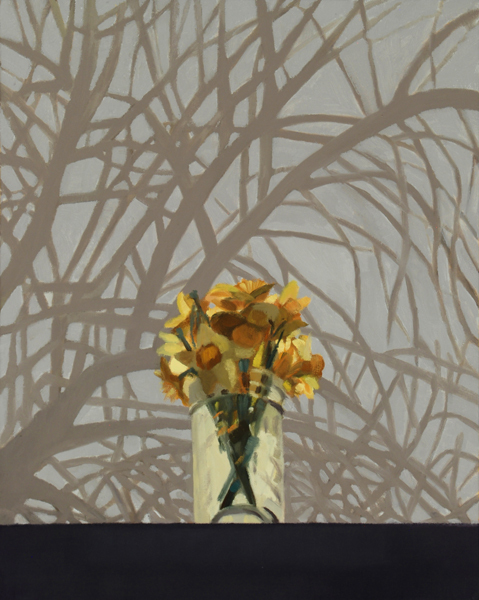 Since then her paintings have been exhibited nationwide, including juried shows at First Street Gallery, Prince Street Gallery, and the Bowery Gallery (all in New York, NY), and in invitational exhibitions such as "Painting the Familiar and the Ordinary: Contemporary Still Life" at Western Illinois University (2014). Artist residency awards include the Millay Colony for the Arts (2010), the Ucross Foundation (2009), the Hambidge Center for the Arts (2008), and the Vermont Studio Center (2008). Gabriella has taught college art courses in painting, drawing, and color design, as well as workshops and private lessons. More information on Soraci and her work can be found at gabriellasoraci.com.